This section gives a look at the wide range of products you can choose from for your events and special ones. I would recommend to get in touch before you make up your mind on one or more services and products. Pages are a substantial 2.8mm thick and have a more rigid feel than a Fine Art Book. Your prints are mounted underneath bevelled matts to individually frame each image. Made using the finest quality papers and ink. The album lays flat but unlike the Fine Art Book images cannot go across the crease. 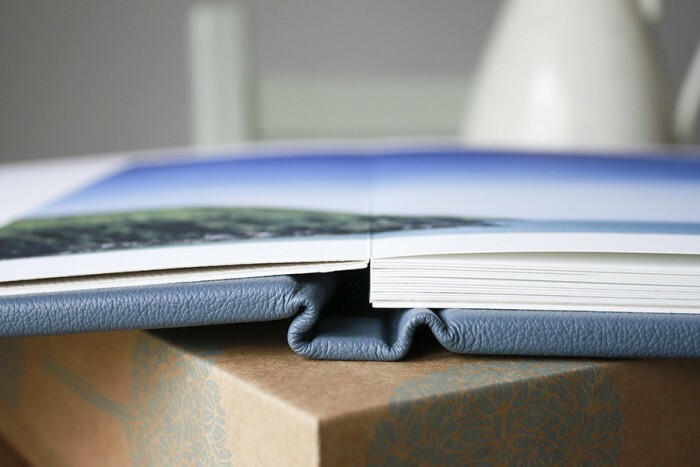 All Matted Albums are hand packaged and presented in a natural cotton wrap and kraft cardboard box. Available in a variety of cover materials. Sizes available: 12x12”, 10x10” and 8x8”. Great things can come in small, square boxes – think engagement rings or a neat USB box available in any of the Essential Cotton materials. You can select a ribbon tie or hidden magnet as the closing mechanism. The perfect compartment to keep your digital images safe. Fastening options available: Ribbon or Magnet. Digital Presentation Cases are available in any material option and are perfect for matching to an album. With a choice of book-binding paper for the lining and personalisation on the front cover, it’s easy to create a bespoke keepsake for your digital images. As a lovely finishing touch they are packaged in individual cotton presentation bags. Or, you can include a print in the bottom panel of the Digital Presentation Case. The case can then be folded to create a stand that showcases your print. Options available: USB Case or CD case. Fine Art Prints Boxes are a great keepsake that will bring instant joy for yourself, your family or your friends. Serving as a perfect nest for prints by themselves or each box can be customised to incorporate a USB key and wooden display stand. Choose from a number of design options to accommodate prints either unmounted or mounted in 6x4” or 5x7” sizes, along with either ribbon or magnetic fastening. Available in any of the Essential Cotton materials. Box styles available: 6x4” or 7x5” mounted or umounted, 4x4” unmounted or 6x4” or 7x5” mounted or unmounted with stand. Pages are approximately 0.5mm thick and have a pleasing flexible feel. Made using the finest quality papers and ink. Each double page opens flat with an almost invisible crease. Printing across the crease allows for unrestricted layout designs to showcase your images. 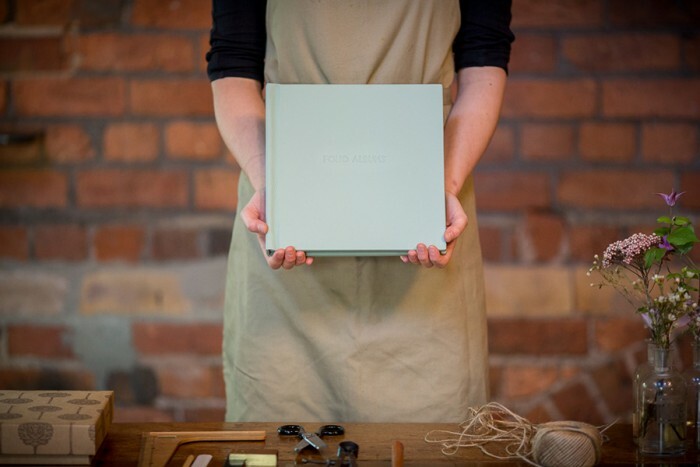 All Fine Art Books are hand packaged and presented in a natural cotton bag and kraft cardboard box. Available in a variety of cover materials. The simple, yet stylish, portfolios are the perfect way to showcase your favourite photographs and present as a gift to family and friends. Each panel of the portfolio is configurable with a choice of templates. The 6x6” has the additional option of including a USB stick or DVD envelope. Available in Pastel Fabric, Bold Fabric and Essential Cotton materials. Sizes available: Duo or Trio in 12x12”, 10x10”, 8x8” and 6x6”. Styles available: Single square, Single portrait, Single landscape, Double Portrait Horizontal, Double Portrait Vertical, Pocket, USB Key and Square Envelope. Fine Art Prints have the wow factor when it comes to image quality. The matte-finished fine art paper combined with the lastest pigment inkjet printing reproduces images with amazing clarity. Available mounted or unmounted in a full range of standard and bespoke sizes, Fine Art Prints are perfect for framing, scrap booking or simply as individual prints to be enjoyed now and for years to come. Available options: Mounted or Unmounted. 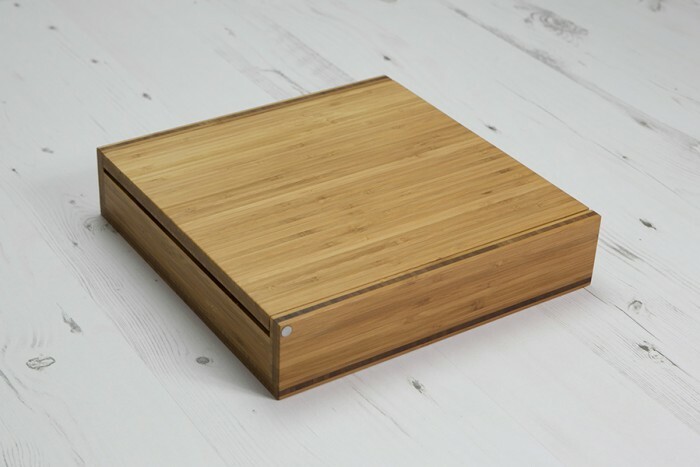 Bamboo Boxes are handmade by a Yorkshire craftsman with great attention to quality and deatil, from the aluminium hinge to the smooth finger-groove and magnetic clasps. The grain variations mean no two are ever the same and, in addition, the lid can be laser-engraved with names, motifs or bepsoke graphics. Bamboo Boxes can accommodate 12x12”, 10x10” and 8x8” Fine Art Books and are an upgrade to the standard presentation box and bag. Bamboo Boxes are available as a presentation upgrade for Fine Art Books and are not available for Matted Albums. Available options: 12x12”, 10x10”and 8x8” for Fine Art Books only.